Located on the East side of Dene Side, at the corner of York Road. Given as the RIFLEMANS ARMS in 1881 & 1883. Sold at auction 29th August 1888 for the sum of £1,290. 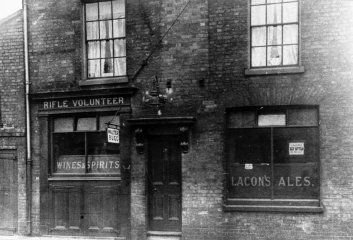 Licence removed to the RIFLE VOLUNTEER, Blackfriars Road 9th March 1956.